Wouldn't it be cool to live right above your horse? How amazing would it be to live on the same property as your horses? Now, take that a step further! Barn apartments are in the loft of the barn or above the stalls. Your horses would literally be right underneath you! Check out these gorgeous options for inspiration. Here’s how the outside might look. You can see the staircase that leads to the living quarters. It’s the perfect idea for working students, on-site barn staff, or horse owners that like to be close to their animals. Trade in the cabin for this cute oasis! 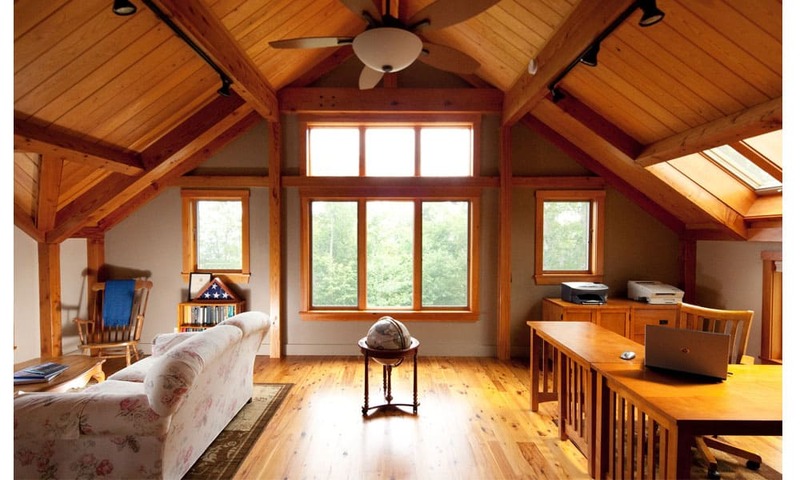 The wood beams and large windows make this space dreamy. It’s hard to even know horses are below you. 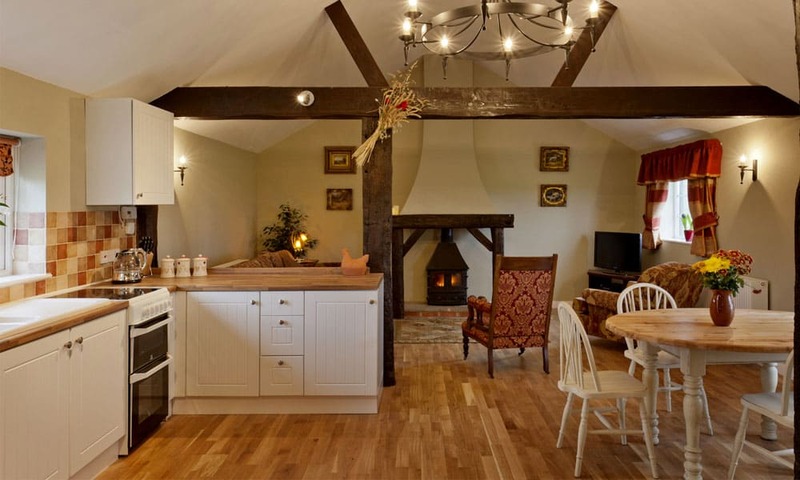 This barn apartment is 500 square feet…the tall ceiling makes it feel much larger though! Can’t you just picture yourself living here? This place is so cozy! I love the country decor. 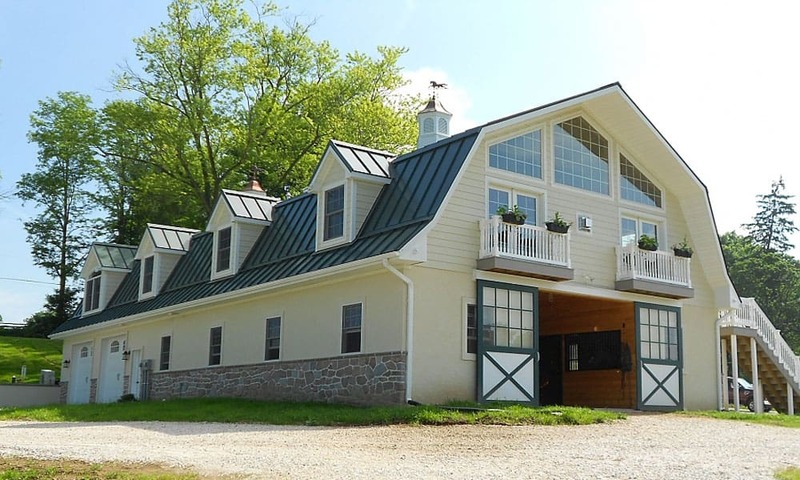 It’s very clear that this home belongs on a horse farm. What do you think? 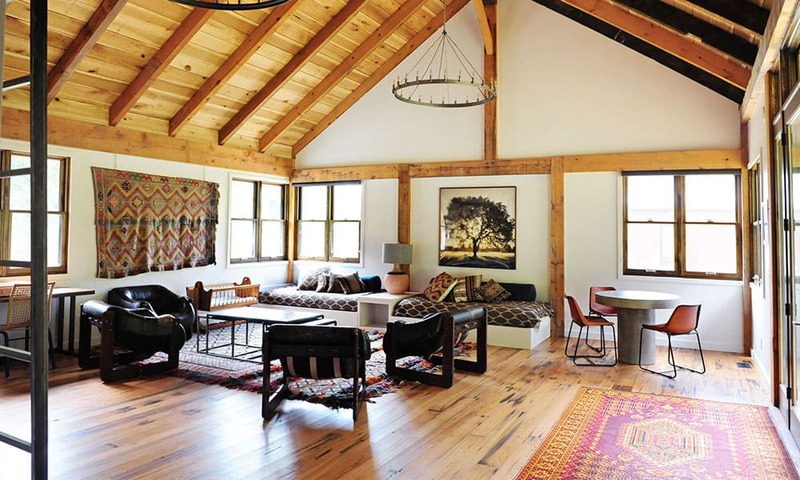 Is barn living for you? Sign me up for one of these adorable apartments! 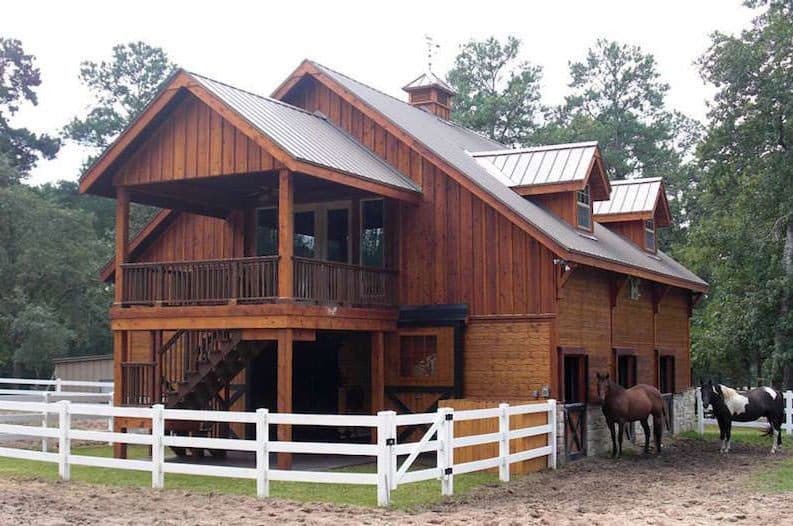 Small Barns That You And Your Horses Will Love!